An international team of astronomers using Hubble has made the most precise test of general relativity yet outside our Milky Way. A nearby galaxy acts as a strong gravitational lens, distorting light from a distant galaxy behind it to create an Einstein ring around its centre. By comparing the mass of the lensing galaxy with the curvature of space around it, the astronomers found that gravity on these astronomical length-scales behaves as predicted by general relativity. You can subscribe to the Hubblecasts in iTunes, receive future episodes on YouTube or follow us on Vimeo. Many other Hubblecast episodes are also available. Find out how to view and contribute subtitles for the Hubblecast in multiple languages, or translate this video on YouTube. More information and download options: http://www.spacetelescope.org/videos/heic1812a/ Subscribe to Hubblecast in iTunes! https://itunes.apple.com/gb/podcast/hubblecast-hd/id258935617 Receive future episodes on YouTube by pressing the Subscribe button above or follow us on Vimeo: https://vimeo.com/hubbleesa Watch more Hubblecavideo.web_category.allst episodes: http://www.spacetelescope.org/videos/archive/category/hubblecast/ Credit: Directed by: Nico Bartmann. Editing: Nico Bartmann. Web and technical support: Mathias André and Raquel Yumi Shida. Written by: Stephen Molyneux and Richard Hook. Music: tonelabs (http://www.tonelabs.com). Footage and photos: ESO, ESA, Hubble, M. Kornmesser, J. Colosimo, ALMA, NRAO, NAOJ, L. Calçada and the Hubble Heiratage Team (STScl/AURA). Executive producer: Lars Lindberg Christensen. The Basics of Special Relativity Explained In 10 Minutes (without the maths). What is special relativity? What is relativity? What are the basics of special relativity? These questions are answered in this video. ►Click here to subscribe! https://www.youtube.com/channel/UCB0fFWQLZ2oj-FaoDUG_wow ►Hosted by: David --- ►Twitter: https://www.twitter.com/AstroFocus_ ►Share this video: https://youtu.be/peMsC5aR72g --- Videos used: Go check out this channel: https://www.youtube.com/channel/UCilPIl-SwFbtsoH8WLnvlfA Earth video: https://youtu.be/CFrP6QfbC2g --- Music used: “Weathervane” by Blue Dot Sessions (CC BY-NC 4.0) http://freemusicarchive.org/music/Blu... --- Hopefully, after watching this video you now know more about special relativity! Black holes are the most impressive objects in the Universe, but when happens when they crash into each other is absolutely mind-bending. They distort space and time itself, sending ripples out into the Universe. Support us at: http://www.patreon.com/universetoday More stories at: http://www.universetoday.com/ Follow us on Twitter: @universetoday Follow us on Tumblr: http://universetoday.tumblr.com/ Like us on Facebook: https://www.facebook.com/universetoday Google+ - https://plus.google.com/+universetoday/ Instagram - http://instagram.com/universetoday Team: Fraser Cain - @fcain / [email protected] Jason Harmer - @jasoncharmer Chad Weber - [email protected] Created by: Fraser Cain and Jason Harmer Edited by: Chad Weber Music: Left Spine Down - “X-Ray” https://www.youtube.com/watch?v=4tcoZNrSveE The sign of a truly great scientific theory is by the outcomes it predicts when you run experiments or perform observations. And one of the greatest theories ever proposed was the concept of Relativity, described by Albert Einstein in the beginning of the 20th century. In addition to helping us understand that light is the ultimate speed limit of the Universe, Einstein described gravity itself as a warping of spacetime. He did more than just provide a bunch of elaborate new explanations for the Universe, he proposed a series of tests that could be done to find out if his theories were correct. One test, for example, completely explained why Mercury’s orbit didn’t match the predictions made by Einstein. Other predictions could be tested with the scientific instruments of the day, like measuring time dilation with fast moving clocks. Since gravity is actually a distortion of spacetime, Einstein predicted that massive objects moving through spacetime should generate ripples, like waves moving through the ocean. Just by walking around, you leave a wake of gravitational waves that compress and expand space around you. However, these waves are incredibly tiny. Only the most energetic events in the entire Universe can produce waves we can detect. It took over 100 years to finally be proven true, the direct detection of gravitational waves. In February, 2016, physicists with the Laser Interferometer Gravitational Wave Observatory, or LIGO announced the collision of two massive black holes more than a billion light-years away. Any size of black hole can collide. Plain old stellar mass black holes or supermassive black holes. Same process, just on a completely different scale. Let’s start with the stellar mass black holes. These, of course, form when a star with many times the mass of our Sun dies in a supernova. Just like regular stars, these massive stars can be in binary systems. Imagine a stellar nebula where a pair of binary stars form. But unlike the Sun, each of these are monsters with many times the mass of the Sun, putting out thousands of times as much energy. The two stars will orbit one another for just a few million years, and then one will detonate as a supernova. Now you’ll have a massive star orbiting a black hole. And then the second star explodes, and now you have two black holes orbiting around each other. As the black holes zip around one another, they radiate gravitational waves which causes their orbit to decay. This is kind of mind-bending, actually. The black holes convert their momentum into gravitational waves. As their angular momentum decreases, they spiral inward until they actually collide. What should be one of the most energetic explosions in the known Universe is completely dark and silent, because nothing can escape a black hole. No radiation, no light, no particles, no screams, nothing. And if you mash two black holes together, you just get a more massive black hole. The gravitational waves ripple out from this momentous collision like waves through the ocean, and it’s detectable across more than a billion light-years. This is exactly what happened earlier this year with the announcement from LIGO. This sensitive instrument detected the gravitational waves generated when two black holes with 30 solar masses collided about 1.3 billion light-years away. This wasn’t a one-time event either, they detected another collision with two other stellar mass black holes. Regular stellar mass black holes aren’t the only ones that can collide. Supermassive black holes can collide too. From what we can tell, there’s a supermassive black hole at the heart of pretty much every galaxy in the Universe. The one in the Milky Way is more than 4.1 million times the mass of the Sun, and the one at the heart of Andromeda is thought to be 110 to 230 million times the mass of the Sun. In a few billion years, the Milky Way and Andromeda are going to collide, and begin the process of merging together. Unless the Milky Way’s black hole gets kicked off into deep space, the two black holes are going to end up orbiting one another. If you can't break through a wall, you climb over it. Janna Levin, Professor of Physics and Astronomy at Barnard College, points to three genius scientists who embraced limitations. Levin's latest book is "Black Hole Blues and Other Songs from Outer Space" (http://goo.gl/dFrzuz). Read more at BigThink.com: http://bigthink.com/videos/janna-levin-on-benefits-of-restraints-in-science Follow Big Think here: YouTube: http://goo.gl/CPTsV5 Facebook: https://www.facebook.com/BigThinkdotcom Twitter: https://twitter.com/bigthink Transcript - I became interested in this phenomenon of constraints inspiring creative outbursts. And if you look at the last century there were three really profound examples of that. I would say the earliest that I found incredibly interesting was the limit of the speed of light leading Einstein to the theory of relativity. Where a lot of other scientists wanted to remove the limit, they wanted to say, 'There is no limit to the speed of light. That doesn't make any sense. That's impossible.' Einstein actually, despite the word relativity, adhered to a very strict absolute. And that absolute was the speed of light. He took that to be his guiding constraint. And by sticking to it rigidly he said, 'I'll give up anything else but the speed of light, the constancy of the speed of light.' And by doing so he gave up on the absolute nature of space and time. I mean that's just much harder to let go of intuitively and a much greater violation of our common sense, but it was right. And so this was an example where this tight constraint led to a creative outburst. From this one constraint you could trace the line, not only to the relativity of space and time but the expansion of the universe; the existence of black holes; the ideal that the entire space has a shape, all of these things burgeoned from this really tight constraint. Another great example is the Heisenberg uncertainty principle. So Heisenberg begins to believe that we can't precisely know the location of a particle and its motion and its momentum. And this seems to violate what we believe that things objectively exist, that there should be no such limit, but he takes it very seriously. He doesn't just say, 'Oh it's often cast in this way; oh disturb a particle when we observe it therefore we can't also know it's momentum once we've located it because in the process of measuring it we've somehow disturbed it.' That's not really true. It's much deeper than that. Read Full Transcript Here: http://goo.gl/UAhcO5. Albert Einstein’s theory of general relativity, developed 100 years ago, predicts the existence of gravitational waves. In February 2016, the Laser Interferometer Gravitational-wave Observatory (LIGO) became the first experiment to observe gravitational waves, created by two black holes spiraling into each other. The discovery became known as the chirp heard around the world. Four month later, a few hours before this public lecture, LIGO announced the discovery of a second signal. This lecture, given by Dr. Barry Barish, LIGO director from 1997 to 2006, explains the physics of gravitational waves, the detection technique used by LIGO, the observations made and the implications these discoveries have on our understanding of the cosmos. Musser's book is "Spooky Action at a Distance: The Phenomenon That Reimagines Space and Time--and What It Means for Black Holes, the Big Bang, and Theories of Everything" (http://goo.gl/iUwrnU). Read more at BigThink.com: http://bigthink.com/videos/george-musser-on-nonlocality-and-the-theory-of-relativity Follow Big Think here: YouTube: http://goo.gl/CPTsV5 Facebook: https://www.facebook.com/BigThinkdotcom Twitter: https://twitter.com/bigthink Transcript - So spooky action at a distance was Einstein’s kind of appellation for the idea of nonlocality. Non-locality is the technical term for it. So the example I often give is two coins. So you can treat some of these particles as having two possible outcomes of a measurement. And you can think about it as heads or tails of a coin. So you create two of them. You give one to your friend. Your friend goes off somewhere and you keep the other. And you both flip the coin and you come up with heads, they come up with heads. You come up with tails, they come up with tails. Heads, tails. It just goes back and forth. And yet they’re the same answer on both sides. So this non-local connection among these particles or whatever kind of object is bearing that connection seems to violate our intuition from Einstein’s Theory of Relativity. So that theory among other things said that influences in nature are limited by the speed of light. So you can’t have any kind of subspace radio or answerable like they have in science fiction. There has to be a limit to the speed at which influences the signals can propagate. So these particles which can exist on the opposite sides of the universe seem to disobey that principle. But the situation’s kind of subtle and the reason it’s subtle is that the particles are unable to send an ordinary communication. You can’t use them to radio signal or have some kind of telemetry or remote control across that gap. And the reason is quite simple. The reasons are the outcomes of those particle experiments or the flips of the coin are random. So they just come up heads or tails and heads or tails and you can’t decide is it heads or is it tails. So you’ve got no way to manipulate the coin and thereby produce an outcome at the distant location. So you can’t communicate. You can’t send a signal. So on the one hand the phenomena seems to violate relativity theory. But on the other hand it kind of pulls back from the precipice. It doesn’t actually violate it in a practical sense. You can’t send a signal faster than light. It still however poses kind of a theoretical conundrum. Why are these particles able to coordinate their behavior even though they’re so far apart. So there’s a tension with Einstein’s Theory of Relativity not perhaps an outright observed contradiction of the theory. The question of why these particles can coordinate, why these coins can land on the same side no matter where they might be is really it could be very perplexing. And Einstein was troubled by it. He thought the particles for instance were basically had a mechanism in them or some kind of like gimmick built into them like a magician would have kind of a trick coin. And he thought the particles were also like trick coins that they were preprogrammed to land on one side or the other. But in the 60s and 70s that particular explanation was ruled out. So the other possibility is that there might be some kind of signal going between them. But that seems to be ruled out because you couldn’t do the experiment kind of in synchrony. You can do it at the same time and yet the coins can still act in a coordinated way. So you’re kind of left with like what’s going on. It’s just a mystery here. There’s almost like a magical magic wand or Obi-Wan sensing the disruption of all Alderaan kind of situation going on here. It’s kind of a magical situation. So the thinking today is that it represents a violation, a kind of undermining of space, the very fabric of space. That things in the universe seem to be located far apart from one another. They have individual locations and they need to interact by mechanisms that propagate within space. And these particles violate that expectation so it seems to indicate that space itself is somehow not fundamental. It’s not a real or deep feature of reality. Scientific advancement is more than a series of experiments: it is often a debate among scientists with fundamentally different points of view. Niels Bohr knew this firsthand thanks to Einstein. Musser's book is "Spooky Action at a Distance: The Phenomenon That Reimagines Space and Time--and What It Means for Black Holes, the Big Bang, and Theories of Everything" (http://goo.gl/iUwrnU). Read more at BigThink.com: http://bigthink.com/videos/george-musser-on-the-social-dynamics-of-good-science Follow Big Think here: YouTube: http://goo.gl/CPTsV5 Facebook: https://www.facebook.com/BigThinkdotcom Twitter: https://twitter.com/bigthink Transcript - What is the purpose of science? It is to create a view of reality. It is to create a stable view of reality to understand why things happen in the world. A view that kind of transcends the everyday vagaries of life. The sun will rise. The rain will fall. I mean the ball will travel in an arc. At least in physics these are the things that occur despite all the other noise and joy and vagaries of living in the world and the experience that we have. There’s some rock solid kind of root to what’s going on in the world. And we expect physicists to find that. So we usually think of the theoretical scientist, the theoretician sitting, working, pen and paper, blackboard – today a computer, mathematic or math lab and they produce equations and they change the world by the power of their individual thought. But science is a deeply collaborative enterprise and I’ve always been struck when I see physicists in action how much they are teaching one another. They’re at blackboards explaining an idea to a colleague. Then I see them at another blackboard an hour later explaining the very same idea to a different colleague in different ways. Then they give a presentation. Then they write a draft of a paper. This is a social enterprise. And they kind of go back and forth between the individual sitting, struggling against the brick wall, banging their head against it trying to make sense of the reality and the collaborative social side of things. Read Full Transcript Here: http://goo.gl/EbPZQl. Scientists just confirmed the last missing piece of Einstein's theory of relativity. This has huge implications, and could even be a step towards time travel. In November 1915, Albert Einstein completed his general theory of relativity and transformed the world of physics. This theory took Einstein’s earlier theory of special relativity, which applied only to objects in a constant state of motion, and generalized it to account for acceleration (hence the name general theory of relativity). Symmetry: How Einstein Changed the Way We See Everything. Nobel Prize-winning physicist Frank Wilczek details the broad influence Albert Einstein had on his career, as well as society as a whole. Frank Wilczek's book is "A Beautiful Question: Finding Nature's Deep Design" (http://goo.gl/AnhnnD). Read more at BigThink.com: http://bigthink.com/videos/frank-wilczek-on-einstein Follow Big Think here: YouTube: http://goo.gl/CPTsV5 Facebook: https://www.facebook.com/BigThinkdotcom Twitter: https://twitter.com/bigthink Transcript - Einstein was a great hero of mine and he’s played an important role in my life. In many ways I try to write, to model my scientific expositions and style on the early Einstein. For several years I owned and lived in Einstein’s house in Princeton. I was kind of his – in that sense his successor at the Institute for Advanced Study. He added profound themes to our understanding of nature at a technical level. He really advanced although he didn’t articulate it explicitly by example he advanced the idea that symmetry is what’s very basic to the operation of fundamental law. In the special theory of relativity he showed that by postulating symmetry, that is that the laws don’t change although they might have if you move past a physical situation at a constant velocity the same laws still apply to that different looking situation. That kind of very conceptual idea of how physical law is constrained set a new style in physics that you assume that the world doesn’t change when it might have under various transformations. That’s been really – that really has been a dominant theme of twentieth century physics and of my own work. He carried it further in the general theory of relatively where he postulated a new kind of symmetry called so called local symmetry which is vaster and leads to even more constraints on the possible description of the world and even more particular guidance about what the equations should look like. And that kind of strategy has been spectacularly successful in a generalized sense although we need some extra tricks. But in the generalized sense that’s the main trick that allowed us to figure out not only the correct theory of gravity or actually a very, very good theory of gravity which is Einstein’s general theory of relativity but also in the subnuclear domain where we had to guess fundamentally new laws for fundamentally new interactions which were very unfamiliar. The so called strong and weak interactions. It turned out that this kind of hypothesis of grand symmetry was the right way to go. So in addition to being a beautiful idea its turned out to be an extremely fruitful idea that led us to a description of interactions where new kinds of forces where otherwise we would have been completely at sea. How can just two rules of Einstein's 1905 theory of special relativity lead to seemingly paradoxical changes in the perception of time? Want exclusive updates whenever a new video is posted? Sign up here! http://www.physicsgirl.org/signup This video was inspired by a special relativity class in high school. Special relativity was one of the first subjects that made me go, “wow, that’s really how the world works? !” It stretched my imagination, as I hope the twin paradox will yours. Airplane footage: Ben Bloomberg, Derek Muller Rocket Footage: NASA Thanks to Bobak Hashemi and Kyle Kitzmiller for helping film Help us translate our videos! http://www.youtube.com/timedtext_cs_panel?c=UC7DdEm33SyaTDtWYGO2CwdA&tab=2 Instagram: http://instagram.com/thephysicsgirl Twitter: http://twitter.com/thephysicsgirl Facebook: http://facebook.com/thephysicsgirl http://physicsgirl.org/ Music: "Ticker," "Good Starts," Locally Sourced," "Space Coast"
View full lesson here: http://ed.ted.com/lessons/einstein-s-miracle-year-larry-lagerstrom As the year 1905 began, Albert Einstein faced life as a “failed” academic. 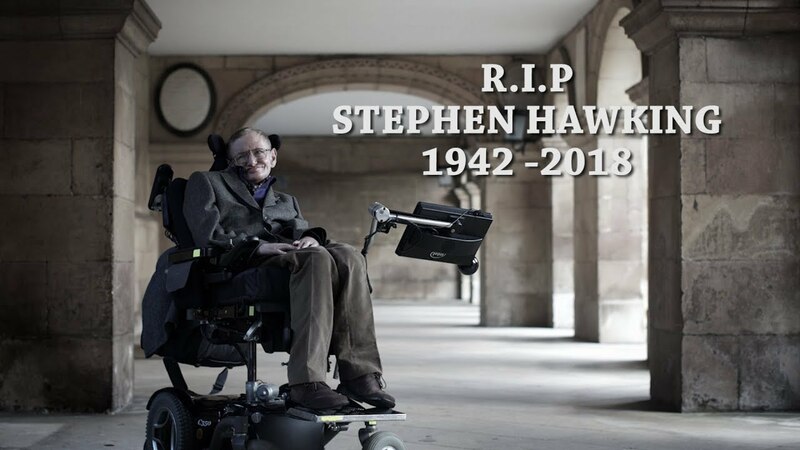 Yet within the next twelve months, he would publish four extraordinary papers, each on a different topic, that were destined to radically transform our understanding of the universe. Larry Lagerstrom details these four groundbreaking papers. Lesson by Larry Lagerstrom, animation by Oxbow Creative. View full lesson: http://ed.ted.com/lessons/einstein-s-brilliant-mistake-entangled-states-chad-orzel When you think about Einstein and physics, E=mc^2 is probably the first thing that comes to mind. But one of his greatest contributions to the field actually came in the form of an odd philosophical footnote in a 1935 paper he co-wrote -- which ended up being wrong. Chad Orzel details Einstein's "EPR" paper and its insights on the strange phenomena of entangled states. Lesson by Chad Orzel, animation by Gunborg/Banyai. What is Einstein's cosmological constant? Have you ever noticed that time flies when you're having fun? Well, not for light. In fact, photons don't experience any time at all. Here's a mind-bending concept that should shatter your brain into pieces. Here are 10 interesting facts about Albert Einstein. Guess who: He was ridiculously smart, had crazy hair, and a knack for super-complicated science. If you said Dr. Bunsen Honeydew and Beaker, you're wrong, because that's two people. The right answer is Albert Einstein. Here are 10 interesting facts about the man. Number 10. He was a ladies man. Einstein was married twice and in letters written over the years admitted to having 6 mistresses. Number 9. Einstein died after refusing surgery. The physicist suffered an abdominal aneurysm in April of 1955. He was rushed to University Medical Center of Princeton at Plainsboro, but declined a potentially life-saving surgery. He said, "It is tasteless to prolong life artificially. I have done my share, it is time to go. I will do it elegantly." He passed away a day later. Number 8. He took the time to respond to a child's letter. It wasn't an easy topic, either. The girl asked on behalf of her Sunday school class if scientists prayed. Einstein's well-penned response was truthful while simultaneously being respectful of religious belief systems. Number 7. Einstein had a contract with his first wife. In addition to cleaning, laundry and cooking requirements, it excused him from all unnecessary social interaction. Silence upon demand was also a stipulation of their marriage -- hers not his. He vowed to just leave her alone in general. Notably, it was drawn up after their marriage had gone south anyway. Number 6. Einstein may have had illegitimate children. Historians and possible progeny have come forward to attest to such, but solid proof has always remained elusive. Number 5. He's among the top earning dead celebrities. Einstein is listed at number 8, coming in just after John Lennon and one step ahead of Bettie Page. Number 4. J. Edgar Hoover wanted to kick him out of the US. Einstein's political views, which gravitated towards pacifism and socialism, prompted some to distrust him. Hoover thought the scientist was a spy and for years ordered agents to tap the man's phone, rifle through his trash, and even open his mail. Number 3. Einstein turned down an offer to be President of Israel. The year was 1952, and the newly established nation was searching for a 2nd president. Though he declined, Einstein said that he was 'deeply moved' by the invitation. Number 2. He preferred visualization over experimentation. When it came to forming his game-changing ideas, he would first imagine how his theories would play out, mathematical equations and all. Number 1. He had a huge brain. Literally. Well, at least the corpus callosum part, which, when you're in the genius business, is key. It's the neural network that allows for all parts of the brain to connect and work in harmony. The Expedition 37 crew onboard the station closed the hatch and said goodbye to ATV-4 "Albert Einstein" cargo ship on Oct. 28. The ATV-4 resupply vehicle arrived at the station in mid-June, delivering more than 7 tons of food, fuel and supplies for the space station crew and . It will undock from the complex on Oct. 28 and will be deorbited Nov. 2 for a destructive entry back into the Earth's atmosphere over the Pacific Ocean. Aboard the International Space Station, Expedition 37 Flight Engineer Luca Parmitano of the European Space Agency paid tribute to the European "Albert Einstein" Automated Transfer Vehicle-4 cargo ship during an in-flight event Oct. 24 involving officials and students in Italy, Germany and Israel. The ATV-4 resupply vehicle arrived at the station in mid-June, delivering more than 7 tons of food, fuel and supplies for the space station crew. It will undock on Oct. 28 and will be deorbited for a destructive entry back into the Earth's atmosphere over the Pacific Ocean. View full lesson: http://ed.ted.com/lessons/time-travel-and-einstein-s-special-relativity-colin-stuart Time travel is a staple of science fiction stories, but is it actually possible? It turns out nature does allow a way of bending time, an exciting possibility suggested by Albert Einstein when he discovered special relativity over one hundred years ago. Colin Stuart imagines where (or, when) this fascinating phenomenon, time dilation, may one day take us. Lesson by Colin Stuart, animation by TED-Ed. Best known for the world’s most famous equation E = mc2, developer of the theory of relativity and, winner of the 1921 Nobel Prize in Physics, German-born theoretical physicist Albert Einstein is one of the most famous scientists that has ever lived.